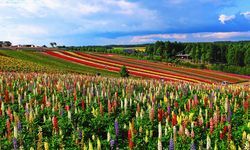 Japan is - in our humble opinion - as fascinating a destination as any on the planet. Uncannily familiar on some levels yet completely 'other' at the same time, this endlessly alluring destination will reward all those intrepid enough to explore her. There's just one a problem. 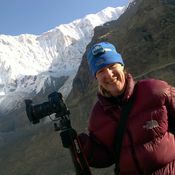 With so much to see, and often so little time in which to see it, you have to make sacrifices. That's why the main island of Honshu should always be your first port of call, with Tokyo and Kyoto shoe-ins, and after that myriad options including the revered and perfectly conical Mount Fuji, the deeply moving Hiroshima Peace Park, the elegant wooden houses of the UNESCO Heritage town of Takayama and the holy island of Miyajima. 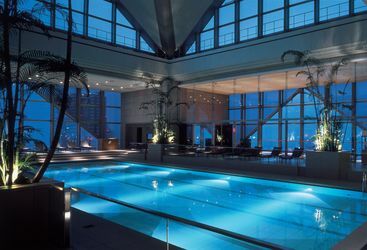 Tokyo is currently the only city in Japan with direct flights from the UK so it's likely to be your first destination. 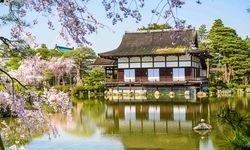 In truth there's so much to see in the Japanese capital it could even be your only stop, but long weekending in Tokyo might be stretching the concept of the Big Short Break to breaking point. 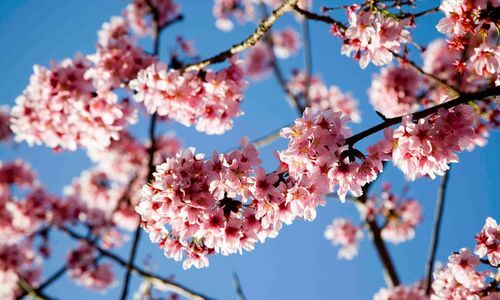 However long your stay, time spent in Tokyo acts as essential cultural acclimatisation - the city is a microcosm of all that is special about Japan, from the hyper-modern to the ancient, and completely fascinating for it. Like all decent cities, Tokyo is a collection of districts with distinct characters (in both senses of the word) from the stylish street fashionistas of Harajuku to the students and party people of Shinjuku. 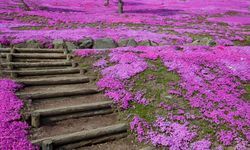 Away from the frenetic face and pace of Tokyo, there are spaces of deep tranquility such as the gardens of the Imperial Palace - home to the Emperor - and the park surrounding Meiji -jingu, the city's foremost shrine. And then there's the food. It's now something of a cliché to mention that Tokyo has more Michelin stars than any city on Earth, but to a foodie that makes this a must visit destination that doesn't disappoint. 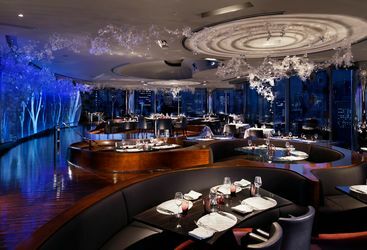 We can help secure a celebrated spot in a three Michelin star eatery with only seven covers or recommend the best noodle stand in Shibuya district and the latest speakeasy-style bar with no discernible entrance where you can enjoy local whiskies with the locals. 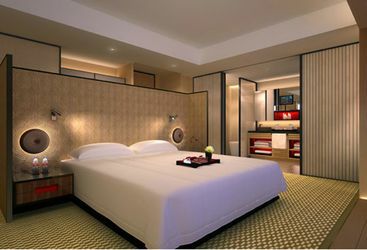 After a big night out, eventually you can make your way back to one of a crop of the finest urban hotels in the world. And so to Hakone, the rural home of that most Japanese icon Mount Fuji, and the perfect contrast to Tokyo. This is somewhere to experience a stay in a ryokan - a traditional Japanese inn, complete with tatame floors, futon beds, yakata dressing gowns and multiple course kaiseki dinners. 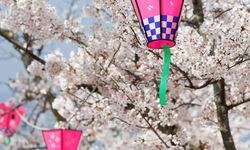 When not exploring the lovely landscapes, gardens and art museums of the region it's a superb insight into Japanese home life. 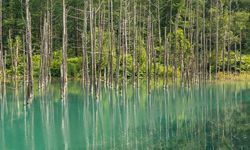 Depending on the length of time you have available, you could then detour to Takayama, the charming gateway to the Northern Japan Alps. The town centre features perfectly preserved 17th century architecture (including many thatched roofs), more marvellous ryokans and shrines, and it's all easily explored on foot. Next stop Kyoto, the ancient capital and a lovely low rise city on contrast to the vertiginous skyscrapers of Tokyo. The city has an astonishing array of temples and Zen gardens to explore, and cuisine arguably every bit as good as in Tokyo. 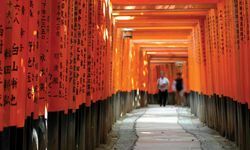 Must-sees include the Fushimi Inari shrine, home to sinuous avenues of strikingly vermilion torii gates (Shinto shrine entrances), and the garden and temple complex of Kiyomizu-dera temple. Kyoto is also home of Japan's few remaining traditional geishas. Heading west on the bullet train network from Kyoto you will come to Hiroshima, the site of the harrowing and horrific first atomic bomb strike. The museum and peace park centred around the tangled ruins of the observatory - left exactly as they were on the day of the attack - are completely heart-breaking, but we nevertheless recommend a visit to what is now a remarkably revived city. The island of Miyajima ('shrine island' in Japanese) is our final recommended stop in Honshu before returning to Tokyo or heading on to Kyushu (or even Shikoku, the smallest of Japan's four main islands). 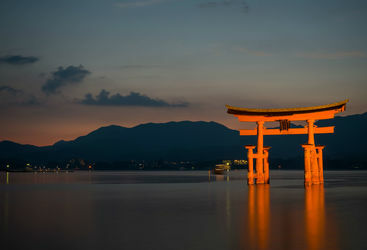 Easily reached by ferry from near Hiroshima, Miyajima is a verdant and revered island famed for the overwater Itsukushima shrine and its huge torii gate 'floating' in the bay opposite. The hilly hinterland of the island is criss-crossed by excellent hiking paths, or you can take the cable car to the summit of Mount Misen where you can explore a network of temples and enjoy incredible views across the Inland Sea. 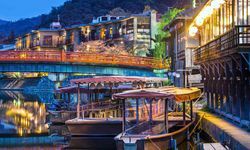 Miyajima is also the place to sample sensational anago-meshi (eel and rice) and the region's famously succulent oysters, best eaten fresh from the grill. Life changing, in our humble opinion, rather like any visit to Japan. 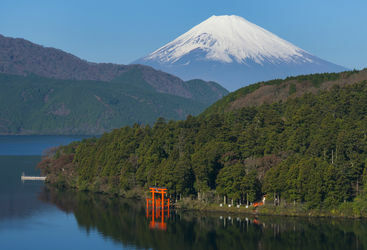 In the heart of the Fuji Hakone Izu National Park, the rural town of Hakone sits in the shadows of the iconic Mount Fuji. Traditional Kyoto is the ancient capital of Japan and makes a wonderful contrast to Tokyo, offering visitors an insight into the Japan that once was. 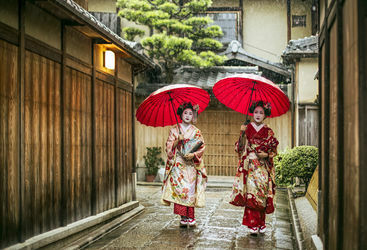 My highlight: Head to the Gion area of Kyoto at dusk to see the Gieko and Maiko rushing between jobs in the tea houses. Wandering around the little back streets is like stepping into a time warp - or onto the set of Memoirs of a Geisha. 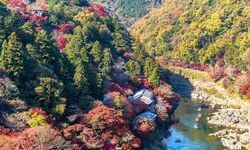 Two weeks travelling around Japan and the Honshu region, including visits to Tokyo, Kyoto, Hakone and Hiroshima will cost from £4,300 per person including international flights.